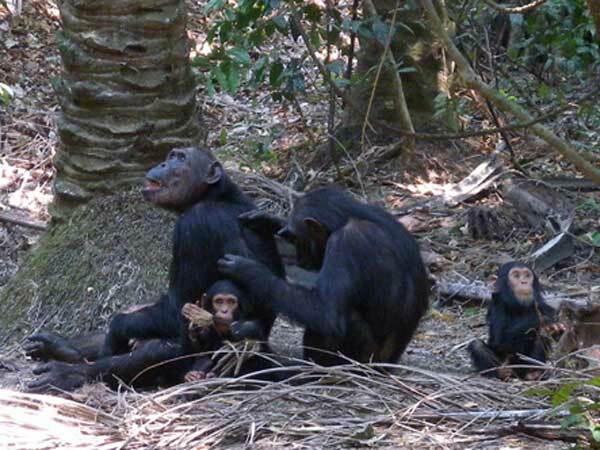 In Gonbe stream national park, I was able to observe the behavior of the wild chimpanzee. They dispersed in 3-5 subgroups, and it is because there is little bait. I observed the behavior of the family of Gremlin of the G group mainly. I observed Gremlin and Gaia of the daughter, five of them in each children mainly. I observed them eating a fruit on a palm tree. When they finished eating, it fell in the ground, and they relaxed while doing grooming each other. They moved by walking on the ground. They ate a leaf before going to bed and satisfied hunger. In addition, I observed three males of the F group which slept soundly in the ground. They did grooming each other after having woken. The forest of Gombe was deciduous broad-leaved forest, and it resembled the Japanese forest. I was convinced that it was not a mistake to plant a Japanese plant persistently. 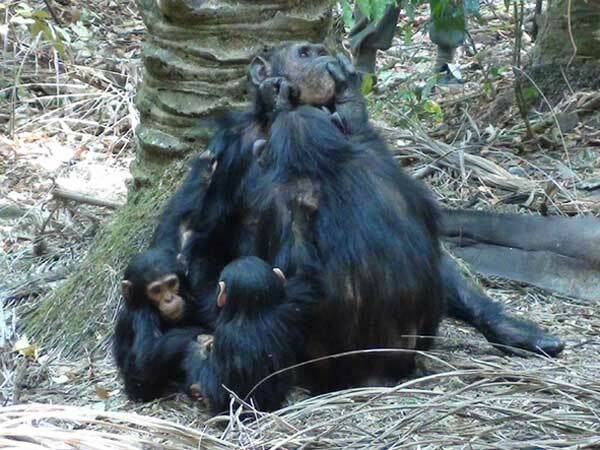 I want to make use of this experience in breeding and the exhibition of the chimpanzee in Kyoto City Zoo. They relaxed while doing grooming on the ground.